Under the Wisconsin Workers' Compensation Act, there are nine criteria that must be met for a subcontractor to truly be considered an independent contractor for the purpose of workers’ compensation. Contrary to popular belief, it can be difficult for a subcontractor to meet all nine of these criteria. 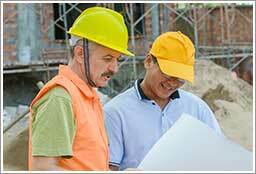 Unless your subcontractor has their own workers’ compensation policy; you may have an exposure you did not foresee. 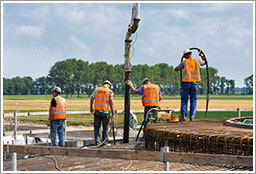 Potentially, you may have a work comp claim for someone who you do not consider to be your employee. 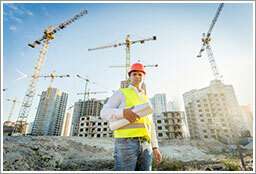 1) Does the subcontractor maintain a separate business? 2) Do they have a separate FEIN from the IRS? Or have they filed business or self-employed income tax returns with the IRS for work or services in the previous year? 3) Do they operate under specific contracts? Meaning do they have a contract for services stating what service is to be performed, and for what amount of money? 4) Are they responsible for operating expenses under the contract? 5) Are they responsible for satisfactory completion of the work under the contract? 6) Are they paid per contract, per job, or by commission or competitive bid? 7) Are they subject to profit and loss under the contract? 8) Do they have recurring business liabilities and obligations? 9) Are they in a position to succeed or fail if business expense exceeds income? As you can see, all of these can be broadly interpreted. There are published court cases that go both ways on whether a business meets the criteria for independent contractor status. These often hinge on one or two small facts about the relationship between the employer and subcontractor. Keep in my mind that the subcontractor must meet ALL nine of these criteria to be considered an independent contractor for work comp purposes. If they do not meet all of them, courts will generally look somewhere else for coverage for this person. If as a business owner you are directing the work, you may be found to be acting as the employer, and thus be on the hook for a worker’s compensation claim. The Department of Workforce Development has stated that a person is NOT an independent contractor for workers’ compensation purposes just because they say so, or because the contractor over them says so, or even if other government regulators say so. The Department looks at whether all nine of the criteria mentioned above are met. The best course of action is to insist that all subcontractors maintain their own workers compensation insurance policy, and ask for proof of that via a certificate of insurance. Contact your knowledge broker for additional information.